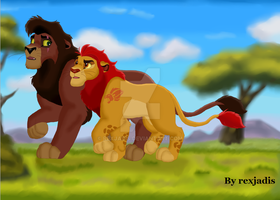 A redraw of a Lion Guard scene. your Kion's design looks so good!! I LOVE kion’s design here, it is so unique and beautiful!! Great job! 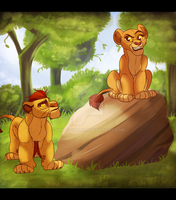 Wow, your Kion is so beautiful!